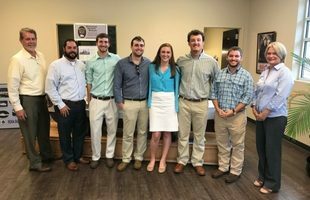 Watermark Design Group and Thompson Engineering are now accepting applications for the Summer 2018 Intern Program. Applications for engineering, architecture, landscape architecture, planning, and marketing/communication interns will be accepted. The 2018 program will allow students to learn and gain professional work experience during an eight to twelve week period. Interns will perform assignments designed to develop professional work knowledge and abilities that require the application of standard techniques, practices, and procedures. We’re looking for candidates with good judgment and great attitudes.